I am dragging this morning, after a late night of the NBA Draft with a few games of Rook mixed in for good measure. Still no official word on who Converse has signed from this years draft, but hopefully something will come out soon. 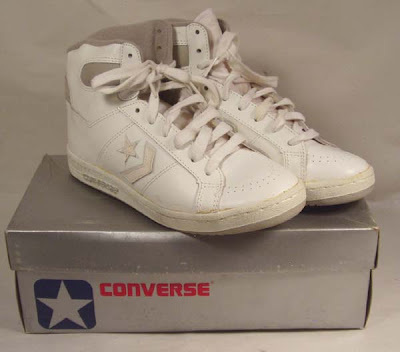 Today's Flashback is a clean and classic pair from the 80's. 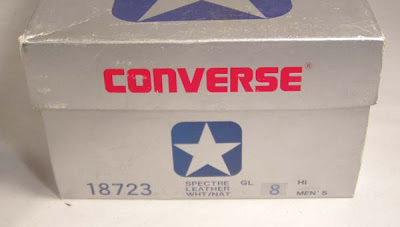 The Converse Spectre! It is a pretty simple design, but would allow for a nice dash of color to be mixed in, depending on the colorway. 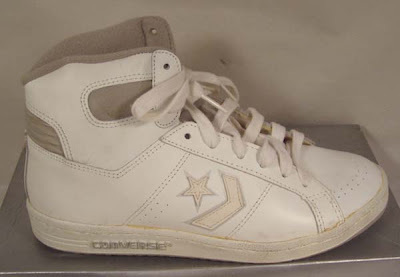 I really like the look that gives off, sort of like a low top shoe with a high shoe growing out of it. I hope that makes sense, at least it did in my head. Well that's it for today...at least the flashback, I hope to hearing something on the rookie front later on. Speaking of rookies, Derrick Rose went first in the draft and first in the poll here. With Michael Beasley, O.J. Mayo, and Kevin Love rounding out the top 4 in the poll. I hope to have a new poll up soon. 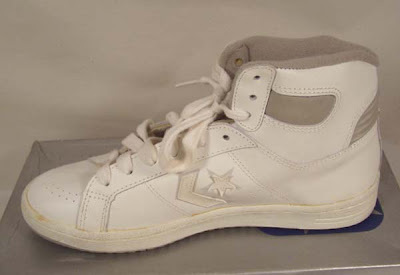 These were my first pair of basketball boots. 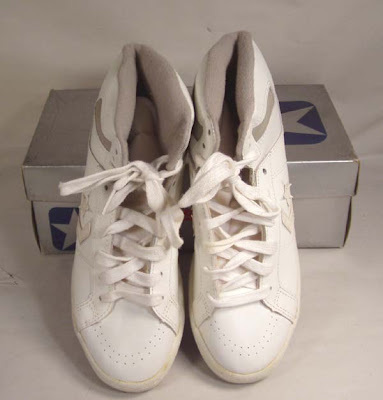 I bought them in 1986 and played them until the street wore them out.